Good evening, I'm Asad Ahmad. They hadn't even said said a word. of Nadja's husband, Jeroen Ensink. had been born just 11 days before. rage when he stabbed the academic. and attacking a police officer. He was released on bail. Six days later, he killed Jeroen. she's been denied legal aid. get the answers we need. As if it's not important enough. As if we don't count. had been areas of learning. but that review is delayed. people, because it's out there. But I don't believe in the system. Caroline Davies, BBC London News. Back to work for Alex Turner. and collect her a lot of the time. be different carers every day. She wouldn't want to let them in. as to how to do that. So, full-time jobs were impossible. and she went into hospital. option was a care home. none could offer her a place. It wasn't a nice time. story is far from unique. wage is going up soon. that can be extremely expensive. any such reform is too late. I just couldn't get a job. 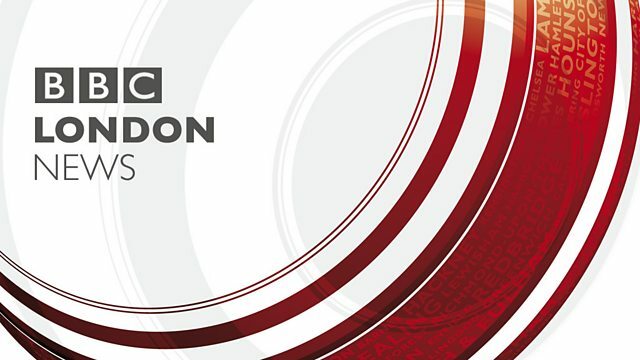 Helen Mulroy, BBC London News. has been taking place in Greenwich. other vehicles and even dogs. out our reactions to the pods. and it wasn't going to stop. exciting to finally get in one. in the recent poor weather. 47% had a positive experience. by a self-driving car in the US. yet be on the roads. going to be a priority. to do to develop trust. is the future of transport. to fight on the front in France. in northern France, in 1918.
by heavy shelling from both sides. It was covered in barbed wire. on each of their birthdays. to wish you many happy returns..."
going through at that time. generations about the Great War. Charlotte Franks, BBC London News. the weather's up to with Stav. will be quite a lot of cloud around. eastern side of the country. being the best day of the weekend.